A couple of weeks ago I wore one of the most glorious things ever. 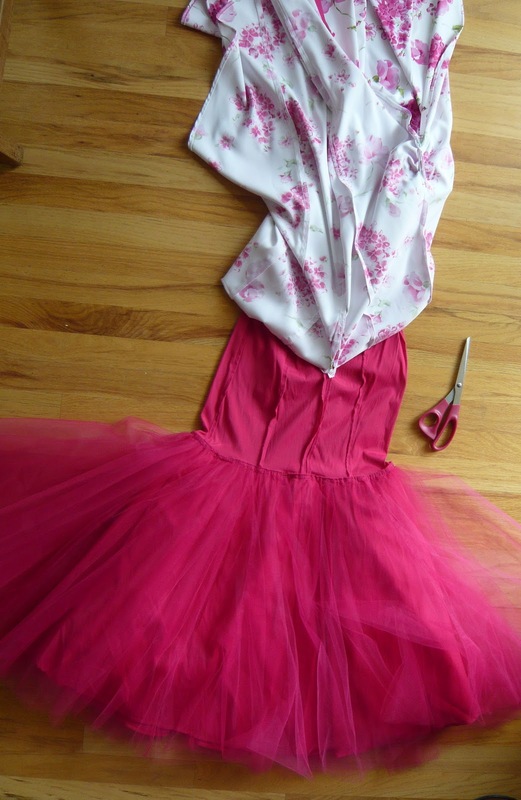 The backstory is I've wanted a hot pink... as in HOT pink... frilly, poofy, tulle thing forEVer. I realized I would have to take matters into my own hands. So, I've been on a hunt. 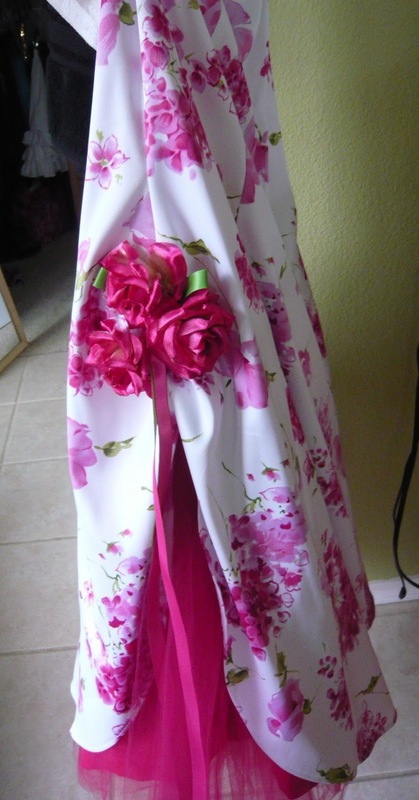 A few weeks ago I was in (shocker, here) Goodwill when I caught my breath and raced over to the dress rack. There hung one of the most interesting floral creations I have ever seen... complete with a hot pink petticoat sticking out from the bottom of its scalloped sides. The tulle ended about mid-thing under the dress, and was attached to gloriously stretchy hot pink fabric. All the makings were there... BUT, the price tag was a bit of a splurge for me, so I figured I'd think about it. A week later it had still not left my thoughts. Glory be! 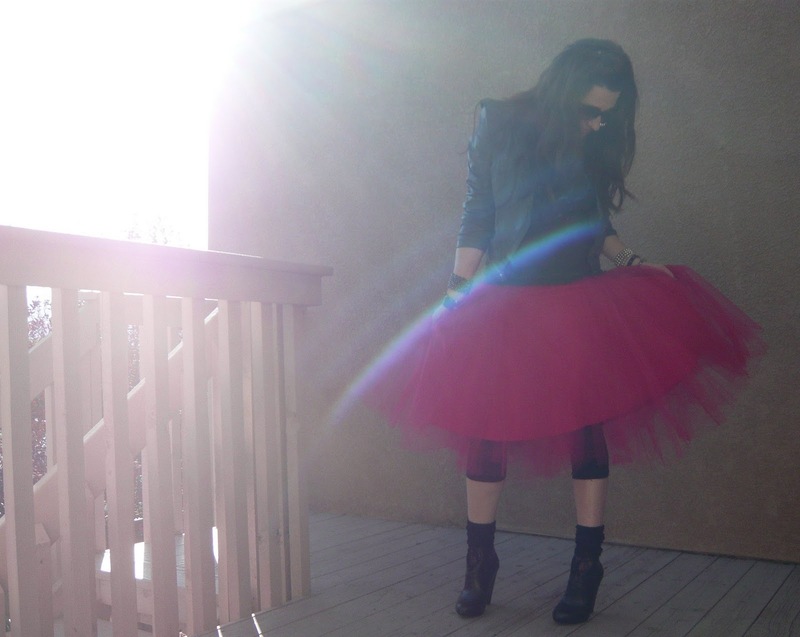 The dress was still there on my return trip. It came home with me. 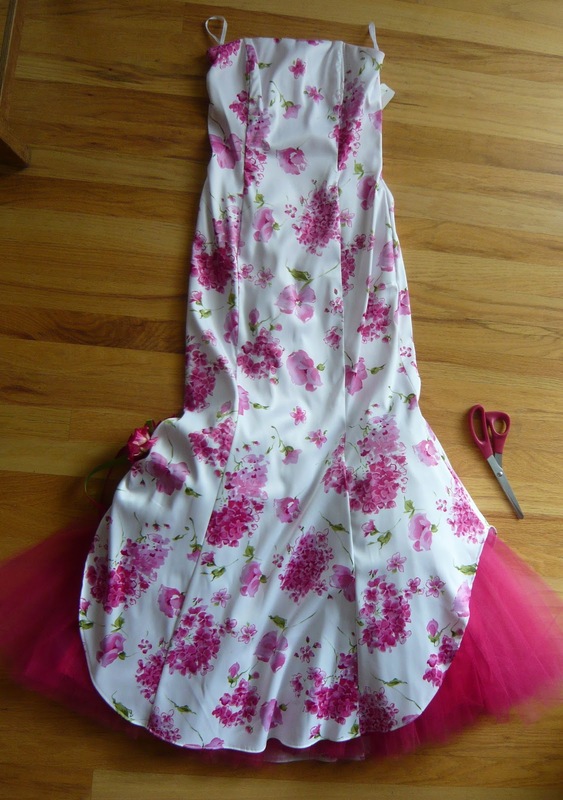 The rationale was that I would pay at least three times the price tag if I were to come across this exact petticoat/tutu thing in a store. Yet, here it was just needing a little work to expose its greatness. I simply folded the top fabric over itself to create a waistband. I was originally going to stitch it down, but realized I didn't have the *ahem* knowledge needed to confidently accomplish such a thing without ruining the stretchiness of the material. Since it was already gloriously elasticized, I just left it. 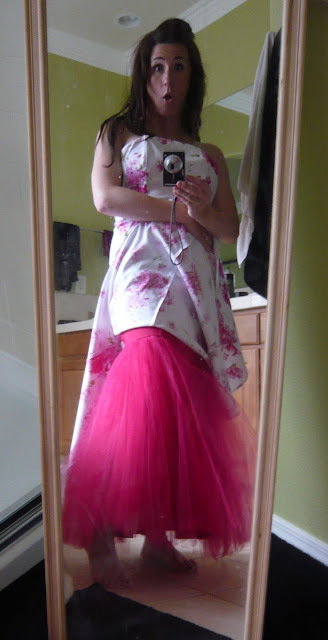 Another great thing about this is there was fabric amidst the layers of tulle, so it wasn't see-through-y (ie Nathaniel the Grublet) when I wore it. 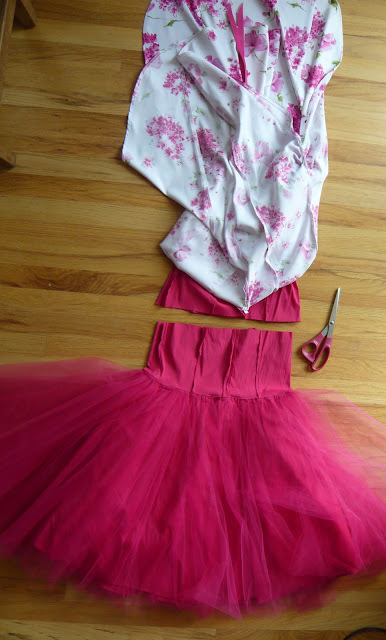 I said a few weeks ago this is kind of a no-brainder Do It Yourself, because all I'm telling you to do is search for a dress with a cool petticoat/tutu thing under it, cut it out and then rock it with a favorite outfit. And, do I think that God had a hand in opening my eyes to the existence of this hidden hot pink petticoat/tutu/poofy thing? Yes. Yes, I sure do. He knows our hearts, and He desires to bless us in ways that speak to what He's placed in us. God is SO freaking amazing like that.